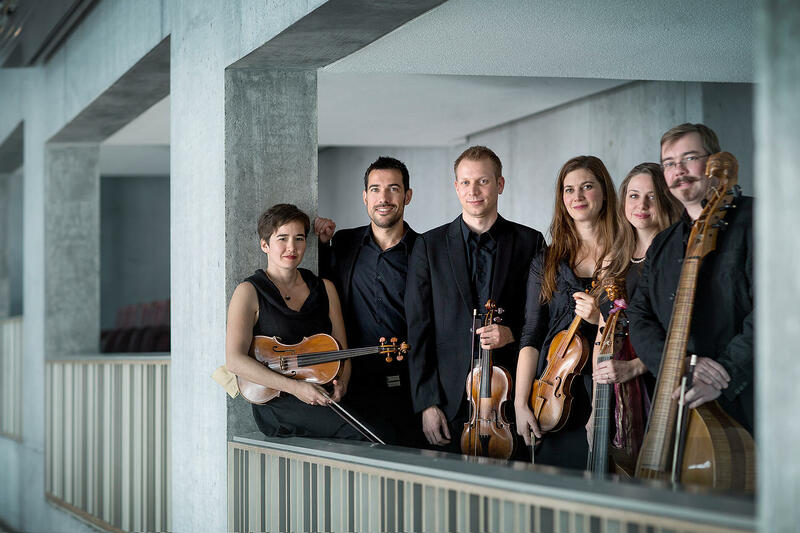 The international slate of early-music specialists known as Masques is acclaimed for their expressiveness, the eloquence of their interpretations, and the dynamic musical involvement of each member. From the outset, Masques received instant international attention, winning the Grand Prize in the Dorian/Early Music America Competition in 2000, and being selected finalist at the York Early Music Competition in 2001. Recent tours have taken Masques across Europe, where appearances have included in Belgium, France (a.o. Saintes), Spain, the Netherlands (Utrecht Festival), Austria, Germany, and in the UK at London’s Wigmore Hall. Masques latest album (2016) is dedicated to celebrate G PH Telemann next year and has again been received with raving press quotes in the international press. Previously, they had recorded an unknown Austrian composer, Romanus Weichlein, which received the Diapason D'or, a Choc from Classica and FFFF Telerama. In 2014, another recording devoted to the instrumental music of Johann Heinrich Schmelzer has been released on Zig-Zag Territoires and has been awarded the “CHOC Classica” in France, Critics Choice in the “Gramophone Magazine” and was named “CD de la Semaine” on Belgium’s Musiq3. Other critically acclaimed releases on the ATMA, Dorian and Analekta labels include Johann Rosenmüller – Sonatas in 2, 3, 4 and 5 parts; Mensa Sonora – Biber and his Contemporaries; Bach: Concerti and Sonatas (which was again awarded a Diapason d’Or and included in the “indispensable de l’été 2016” by Diapason 10 years after their first release !) and Rameau Complètes Pièces de clavecin en Concerts. Their next CD project will be released by ALPHA in 2018 and will feature music by J.S. Bach and N. Bernier and their coffee cantatas.